"Kriete Truck Center exemplifies the values that Mack Trucks is built on, in particular hard work and integrity, and we're proud to recognize their tremendous support of the Mack brand," said Jonathan Randall, Mack Trucks senior vice president, North American sales and marketing. "Whether working with prospective buyers or long-time Mack customers, they've demonstrated their commitment to enabling their customers' success through outstanding service and support." Tri-State Truck Centers was also named U.S. Mack Financial Services Dealer of the Year, while Vision Truck Group was named Canada Mack Financial Services Dealer of the Year. The Mack Leasing North America Dealer of the Year Award went to Tri-State Leasing. 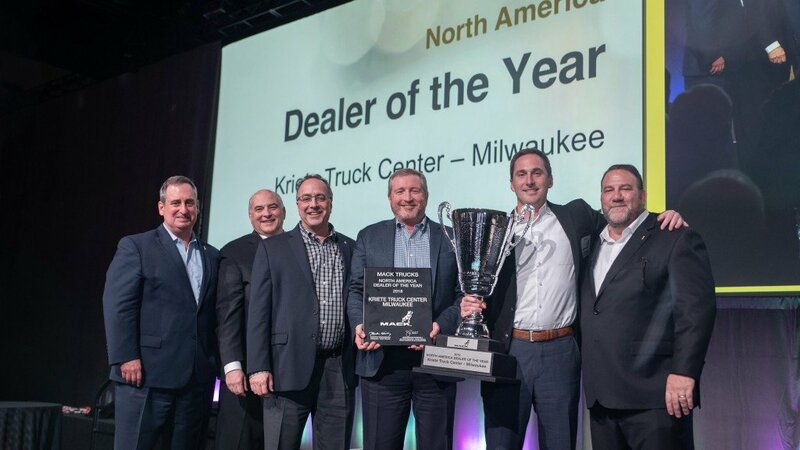 Bruckner Truck Sales of Dallas, Texas received the North America Remarketing Dealer of the Year Award, and the overall Customer Satisfaction Award went to Bergey's Truck Centers in Pennsauken, New Jersey.